PITTSBURGH & CHICAGO--(BUSINESS WIRE)--Jan. 16, 2019-- The Kraft Heinz Company (NASDAQ: KHC) (“Kraft Heinz”) today announced that for the first time in company history, it will air two ads during the Super Bowl. Kraft Heinz will air new 30-second ads in Super Bowl LIII featuring two of its brands: the legendary PLANTERS and brash newcomer DEVOUR. 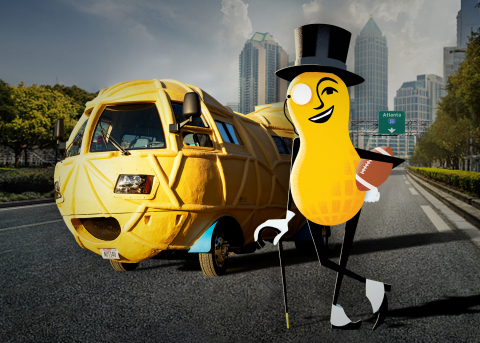 For the first time in 103 years, MR. PEANUT will star in a new PLANTERS Super Bowl ad that shows just how far he’ll go to satisfy salty snack nut cravings during crunch time. PLANTERS is one of the biggest snacking brands in America and this is one of the biggest snacking days of the year – so it’s only natural MR. PEANUT is there. The 30-second spot from VaynerMedia will air during the game’s second quarter. Last year, KRAFT gave the spotlight to real families in its first-ever Super Bowl commercial by making its "Family Greatly" spot in real time with photos and videos consumers shared on social media on Game Day. HEINZ was in the Big Game in 2016 with "Wiener Stampede."